A Halloween inspired wedding can be the best way to celebrate a marriage and the memory of a loved one in a fun way. Fanciful masks, trick or treat wedding favors, little hints of the season mingled with the elegant traditional wedding. What do you picture first when you think of a good, old fashioned, passionate romance? Personally, the iconic image of the sailor and the nurse in Time Square on V day readily pops into my mind – but, seeing Ashley and Pierre’s Rehoboth Beach Country Club Wedding may bring that classic ideal into the modern era. Are You Ready For a Wedding! Are you ready for some…WEDDING! I am sure this groom is feeling like he’s won the Super Bowl today as he gets ready to marry the love of his life. Victoria and Erik were married at the elegant Wild Quail Golf and Country Club in Dover. The wonderful Kerry Harrison Photography was on hand to document this beautiful day. Much future happiness to Victoria and Eric and Congrats! A gorgeous venue, a gorgeous bride, and a gorgeous wedding was shared with us by Delaware Bride Mrs. Kelly Ann Krajewski with husband Patrick Krajewski. 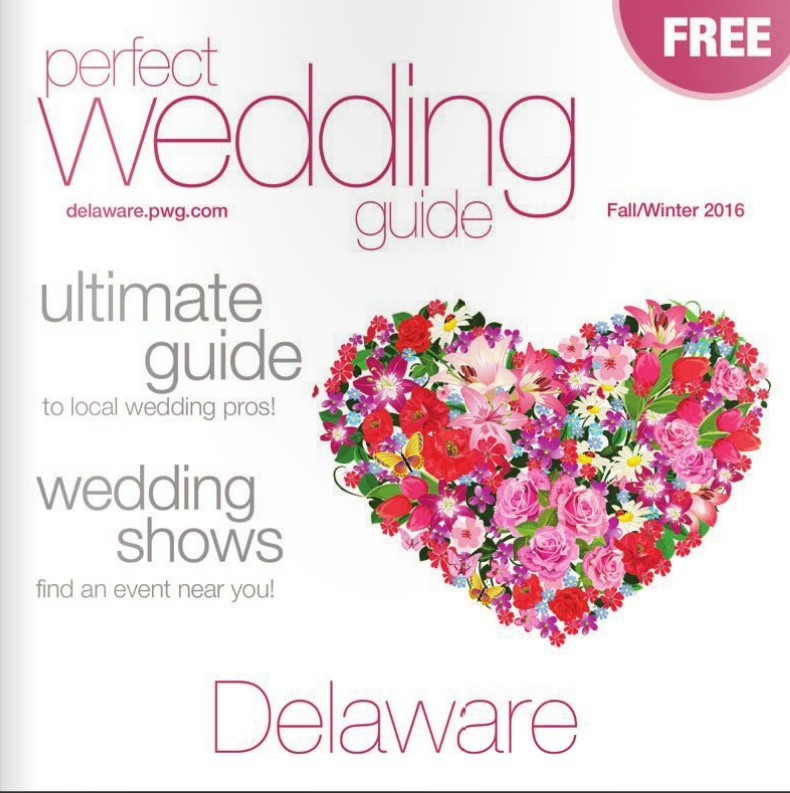 Kelly Ann reached out to Delaware Perfect Wedding Guide in search of an item for her wedding, and was so sweet to remember to share her momentous day with us. So much personality is fabulously captured by Foschi Photography of Wilmington, Delaware at the wedding of Bree and Joe. From the first look to the sunglasses to the exuberant reception entrance and everywhere in between, the photos show that this couple is ready to love and live life together. Sometimes a photographer catches moments that just makes your heart explode with emotion. The photos of Jillian’s and Brandon’s wedding by Kelly Phillips Photography tell a beautiful love story not only between bride and groom, but also of an incredible family celebrating this beautiful day and supporting a bride whose father is definitely there in spirit but not there to hold the hand of his little girl as she walks down the aisle. Have a Breathtaking Cake and Eat It too! It’s been a while since Delaware’s King of Cakes established his title on the proving grounds of TLC’s first season of Cake Boss. Not that his crown is anywhere close to slipping. Desserts by Dana‘s cakes and confections continue to draw a crowd of their own. His craftsmanship and artistic eye are meticulous, keeping careful observation over the details that capture a physical embodiment of your wedding. Put majestic columns of the Radnor Valley Country Club together with an elegant wedding couple, dramatic lighting, and a magnificent Delaware Photographer, Blueprint Photography and you get wedding photo magic. What is more pleasurable, comfortable, aesthetic, and quaint than an intimate outdoor wedding at a winery. In Delaware, you can find that place at Nassau Valley Vineyards in Lewes, Delaware.